Always-on Siri could be coming to macOS. The new iMac Pro set to release month will be Apple’s fastest Mac by a country mile. With 18 CPU cores, Radeon Vega graphics, and 128GB of RAM, there isn’t much Apple’s newest all-in-one won’t be able to do. But a recent discovery by Apple code spelunker Steven Troughton-Smith suggest an iPhone chip might be along for the ride. Troughton-Smith has gotten his hands on Apple’s new BridgeOS 2.0 software, which will presumably be part of the upcoming iMac Pro's software package. And while it didn't divulge quite as much as the HomePod firmware leak earlier this year that spilled the beans on the iPhone X, it does include some very interesting things. Chief among them is a reference to a version of Apple's A10 Fusion chip, the same silicon that powers the iPhone 7. Why this matters: One of the secret weapons that makes the iPhone so great is Apple's home-grown iOS chips, and it seems to be inevitable that Apple will one day use then to power a MacBook. In fact, the A11 Bionic chip inside iPhone 8 and X is as fast as the latest 13-inch MacBook Pros in some workloads. So, while most people probably won’t even notice the A10 Fusion chip in the iMac Pro, it brings Apple one step closer to building a Mac that isn’t powered by an x86 chip. Using iOS-style processors isn’t foreign to Apple—the MacBook Pro with Touch Bar uses a T1 chip that runs a variant of iOS—but this would mark the first time an A series chip makes an appearance inside a Mac. There has been speculation for years that Apple has plans to use its iOS chips to power mainstream MacBooks, but the inclusion inside a $5,000 iMac already powered by an Intel Xeon processor is certainly a surprise. Troughton-Smith surmises that the chip will be responsible for opening up hands-free Siri support on the Mac. When we learned the new iMac will finally allow you to speak to your Mac, it was assumed that a specialized chip like the T1 would be the catalyst, not a full-fledged A10 chip. Currently, the only way to summon Apple’s digital assistant on a Mac is to click the icon on the screen or Touch Bar, or set up a keyboard shortcut. Presumably, the new functionality would allow users to say, “Hey Siri,” to activate the assistant. The new chip will also seemingly be used for macOS boot & security process, a move that “lets Apple experiment with tighter control without the rest of the userbase freaking out,” says Troughton-Smith. Based on his findings, the A10 chip could be responsible for booting up the Intel chips, and he reckons that “it’s safe to assume this A10 is in charge.” Additionally, the chip could be used for controlling the FaceTime camera. 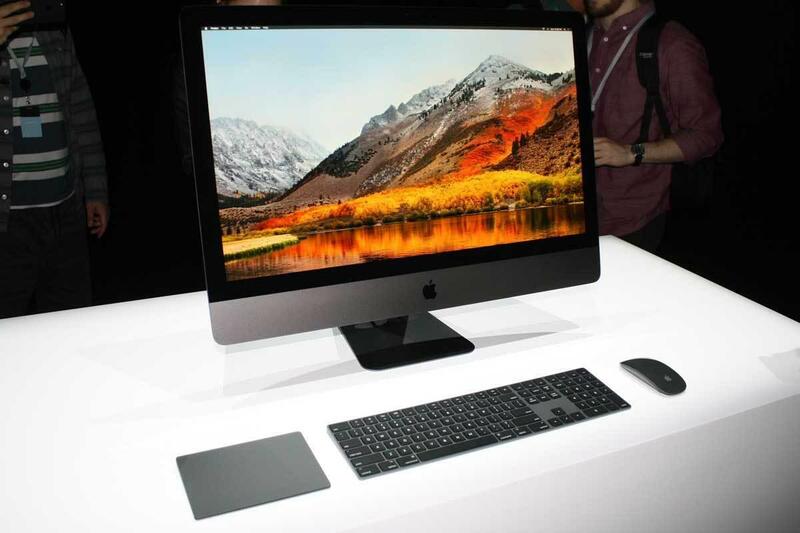 Apple’s new space gray iMac is due to start shipping next month at a starting price of $5,000. It will be customizable with up to 18-core Intel Xeon CPUs, Radeon Pro Vega graphics, 128GB of RAM, and 4TB of storage.